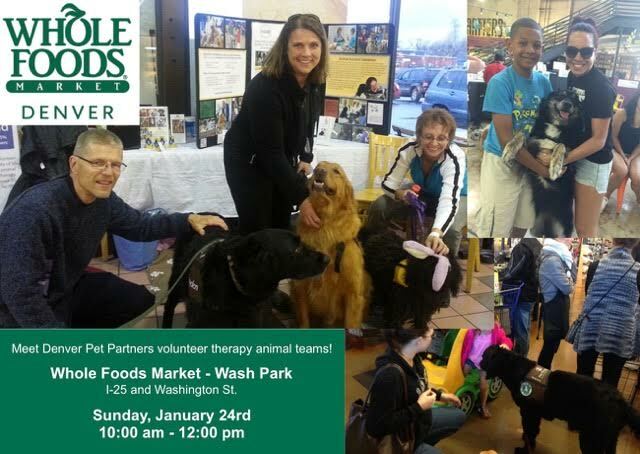 Whole Foods Market Wash Park (1111 S. Washington St, Denver, 80210) and all other metro-denver area Whole Foods have selected Denver Pet Partners as a non-profit organization it will support through their Change-4-Change Reusable Bag Donation Program. When customers bring their own bags into the Whole Foods Markets in metro Denver will donate .10c for each bag. Program runs from 1/18-4/10/16. Please stop by and say hello to fellow DPP volunteer teams and learn more about the organization from 10-noon on 1/26.